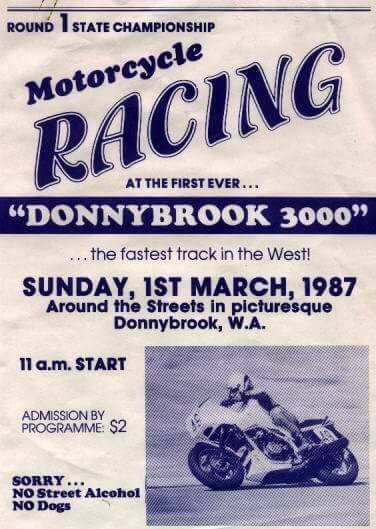 This was the second of only meeting ever held at the Donnybrook street circuit, on the 6th of March 1988, This meeting sadley saw sidecar champion Eric Nichol loose his life, it is widely beleived that Eric may have had a heart attack prior to crashing..
1988 - Unknown 17 and Mark Boyce 228 at the right hander into Marmion Street. Photo: Michael J Thorman. 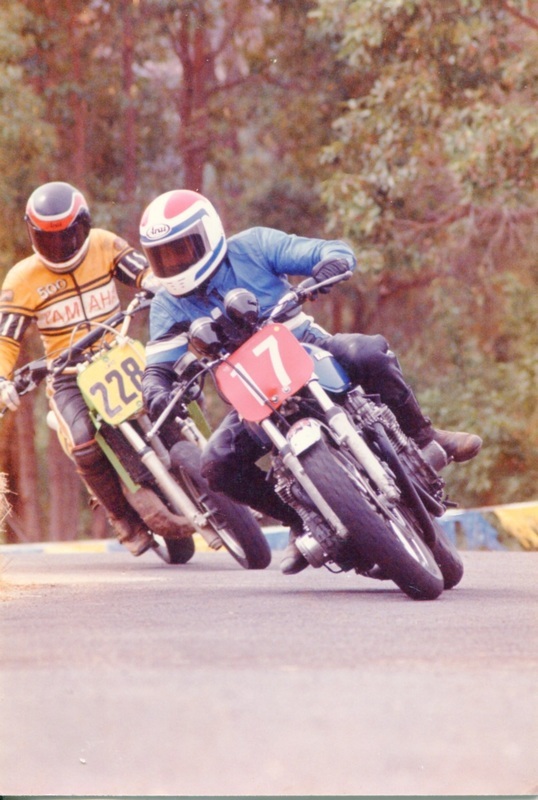 Mark Boyce recalls: I raced at Donnybrook that meeting as apart of a series, I will never forget that day, as it was the day that Eric Nichol was killed after he left the circuit and crashed into bush at the end of Marmion Street while turning into Mead Street.